It was early 1992. We were just toying with the idea of getting our tribal women organized and forming small groups for them. The intent was to just get them together and talk about issues important for them. Later on in 1993 after Mamatha joined us, we expanded on the agenda to include micro-credit and savings. I had no exposure to any issues concerning women and we would just use the opportunity to stay connected and talk. The topics of discussion usually revolved around their health, their children, their husbands’ drunkenness, or the problems they faced with the forest department. Many times, these were just occasions for some local gossip! I would always try my best to attend these meetings and they were possibly one of my best learning experiences. The group was dominated by three very vocal Kadukuruba women – Selli, Sarasu and Somi. Shivamma, another Kadukuruba lady, would attend but not speak much. We had been meeting regularly for nearly 6 months, when I started noticing that Shivamma was conspicuous by her absence. Her absenteeism became the subject of discussion and the women were quite vocal in criticizing her for this and saw no reason why she could not attend. They felt that I needed to intervene and talk to Shivamma and convince her that her presence in meetings was as important as her support in spirit. 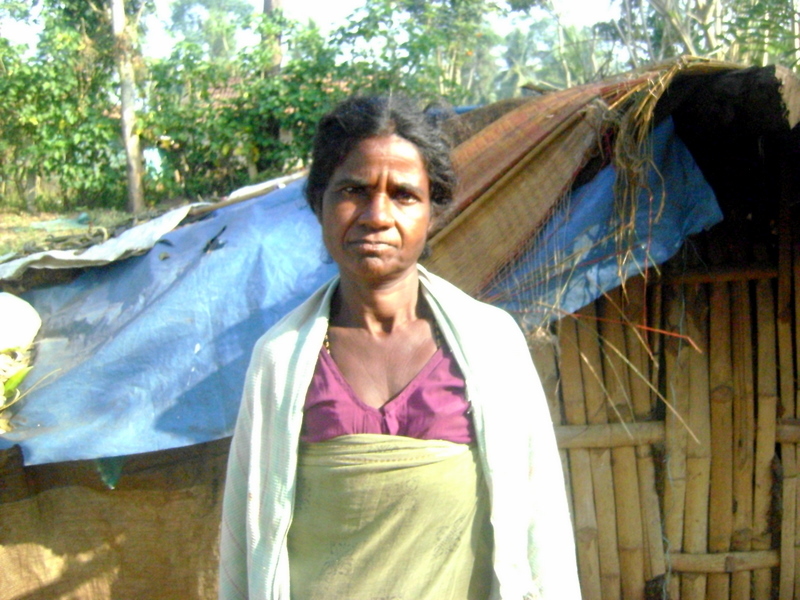 A few days later, Shivamma came to our hospital with her youngest child who was sick. All of her three boys attended our school and Ganesha, the oldest, was part of our first batch of 28 children. I met and asked her why she was distancing herself from the Sangha (group). I explained to her that empowerment meant making certain sacrifices and coming together was more than symbolic. I tried telling her that only through dialogue and discussion could each of us understand the problems on hand and think through a workable solution. More importantly, the collective could thrive only on the strength of the individual and the group needed every member’s presence to make it work. She gave me a patient hearing and casually mentioned that I would never understand her position. She told me it was possibly much easier for me to attend these weekly meetings than it was for her. Seeing my puzzled look, she politely challenged me to spend a day with her and her family and then decide for myself. This was the first time that someone was testing my commitment and asking me to experience first-hand the issues that the community faced each day. I took up the gauntlet and decided that I would spend the whole of the next day shadowing her. What an experience it was! I walked up to her house early in the morning at around 6 am. Her day had just begun and she was up and waking her family up. She spent the initial hours fetching water from the tube well nearby and must have made at least 10 trips. Then she quickly gathered some firewood and lit up the hearth. The morning breakfast was the left over dinner of the previous day and was mostly ragi balls with chutney made of chillies and onion. Once she made sure that all her 3 children were ready and off to school, she and her husband walked to the forest nearby to collect firewood and bamboo. The life of the Kadukurubas revolves around Bamboo – they use it from cooking to house construction to making small articles of daily use. She returned early with a head-load of dry firewood and was happy that she could find enough of it to keep the fires lit for the next 2-3 days. Her husband returned a couple of hours later with enough bamboo for them to work on for the next few days. Before I could even say ‘rest’, she was off to the river to wash clothes and bathe. After her return, she and her husband sat together and started splitting the bamboo and making them into strips that they could work on. As they worked, they also chatted and seemed to enjoy the company of each other. I realized that amidst all this activity, there was no lunch thrown in. Being hungry, I could not but help notice that they did not seem to be troubled at all. The children came back from school at around 5 pm. This was the indication for her to start preparation for dinner. From chopping the firewood, to cleaning the utensils, to fetching water to preparing dinner – she seemed to be fully immersed. Before I could even have a decent conversation with her, I realized that it was nightfall. Amidst all this, she still maintained her calm and was always cheerful. But I was tired and wanted to desperately hit the bed. She would not let me go so easily. After the dinner that she served lovingly, she politely asked me if I understood why she could not attend the Sangha meetings! It then hit me. What seemed like an ordinary task (making an hour for meeting every week) was indeed so demanding and expensive for these women! I had seen the Sangha from my point of view as a tool for empowerment and did not stop to ask myself what it could mean to these tribal women, without whose participation the Sanghas meant nothing. It was not just an issue of time and intent, but involved deeper dynamics. After this incident, I started seeing these women through a new lens and my respect and admiration for them went up many fold. Shivamma had then told me something in her own simplistic way that rings in my ears even now. She had told me that empowerment was not just weekly meetings and discussions, nor about seeking their rights and entitlements. For a woman, it was also about providing the physical, emotional and intellectual space and freedom. It was about ensuring that she had piped water at her house, fuel that did not demand going to the forest each day and spending hours chopping it, a livelihood with a steady income and finally, the security that a good school and hospital that is available, accessible and affordable to her family. Only when all this happens, she would have the time and freedom to fully and effectively participate in the Sanghas or in any development process. And only when we think of providing these basic necessities to the millions of Shivammas around India, will empowerment mean anything for them. Previous Article (61) Rendezvous with the elephants!